In ICANN’s public auction for the .app (dot app) top-level web domain, Google triumphed, purchasing the rights to .app for just a tad bit over $25 million. 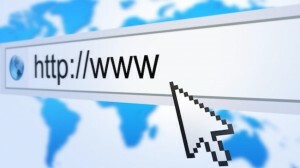 It has been reported to be the highest amount of money ever paid for a top-level web domain in an ICANN auction. The $25 million price was over three times the price paid by the previous record-holder, a company called Dot Tech. Dot Tech paid $6.8 million for the rights to the .tech web domain last September. Charleston Road Registry, which is Google’s registry services company gave a general explanation as to how the company plans to use the .app web domain, but there is no surety as to what Google is specifically planning to do with it. One thing has been made clear from the company’s application as well as its existing correspondence with ICANN; it is planning for the .app web domain to remain platform-neutral. This means the platform will not just be made available to Android developers. Google claims that it intends for the dot app TLD “to be restricted for usage by relevant developer companies, but to be inclusive of the full range of application development communities and not to restrict registration to developers on a particular platform.” This was information contained in a 2013 letter that was from Charleston Road Registry to ICANN. It is somewhat unclear as to how Google will be able to ensure that only app developers use the .app web domain. There is also no information available as to how much money domain names on .app may cost. This could turn out to be yet another questionable issue.